by Space Engineer. 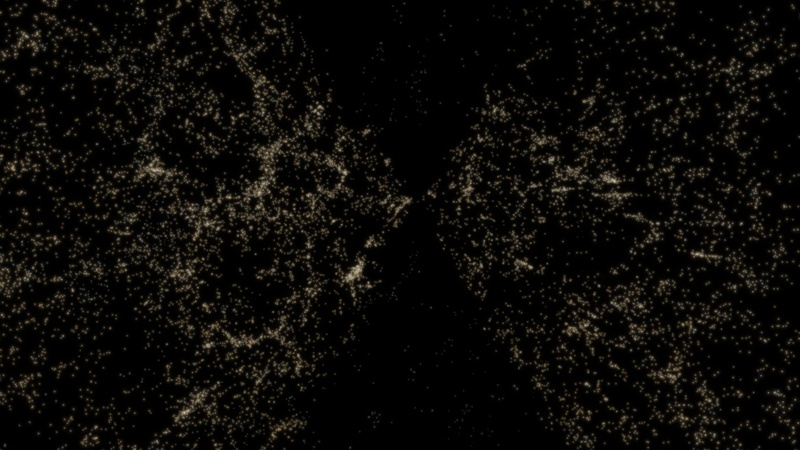 I don't know, if there was any progress in procedural galaxy generation since then, because I think the sizes of voids and clusters don't simulate the reality perfectly. The clusters are to big and bulky and the voids too small and the filaments too short. But I thinks Space Engineer knows that and maybe he had already fixed it. Don't forget: The pictures show the state of development of 23.4.2012 ! 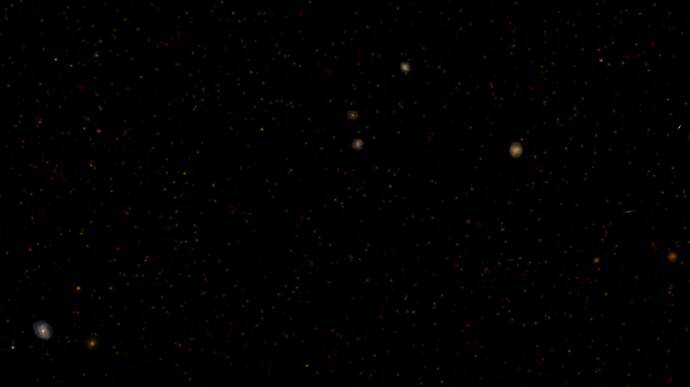 The first picture shows the redshift of light, that is simulated in Space Engine. 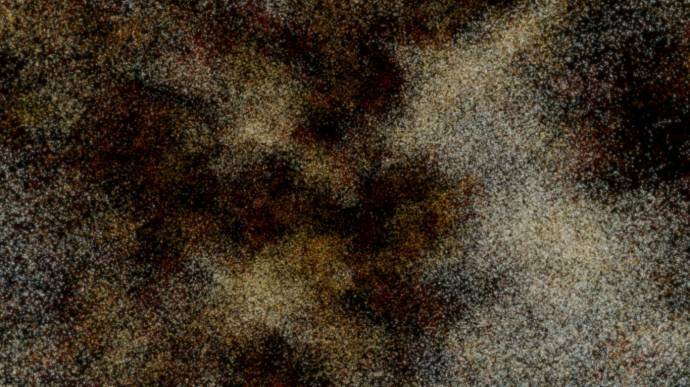 The galaxies in the picture appears 100 times brighter than normal to show the redshift effect. Haha, I enjoyed that too harb. Space Engine is really shaping up to be one of the most detailed games in the world in my opinion. No problem, I did feel left out at first. 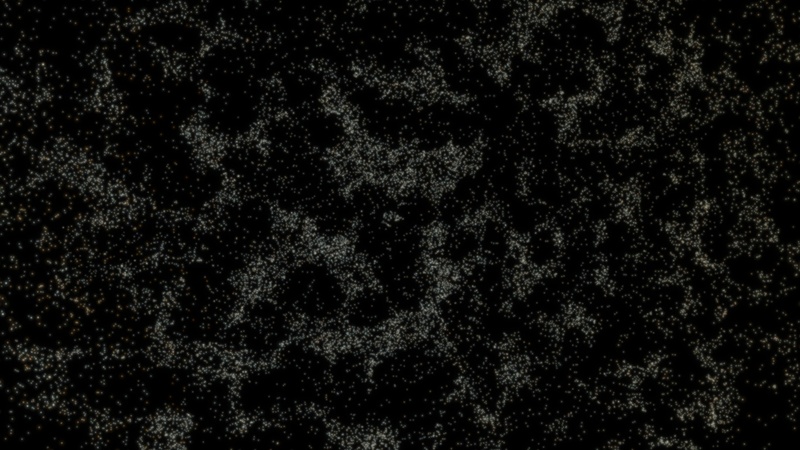 Is this the actual location of the Hubble Ultra Deep Field (as it appears in SpaceEngine)? No, it just shows a random area in space. cool to know the new implementations of the engine, was looking forward to it. SpaceEngineer, what's the algorithm you use for this program, anyway? It's not like there's only one algorithm. For every aspect of the program, there's probably an algorithm. One for generating planet surfaces, one for atmospheres, one for terrains, etc. SpaceEngineer, what are the algorithms you use for this program, anyway? No, I mean the math that you use to determine everything. I would think that if there was a complete 'algorithm' to determine every little thing, it'd be far easier to make such a program. I believe SpaceEngineer takes many, many sources, maths, and ideas of his own to construct Space Engine. Will the generated galaxies be similar to what we have now (sprite-based? I think?)? This could be a nice way to start- it wouldn't affect performance that much, and offers a way to have more control over certain parts of the image (hopefully that means proper transparency so we can't see the dim edges of the square image of the galaxy, which I think should be fixed in .97 or soon for the current sprites. You guy's know what I'm talking about, right?). Surely, it would be more than feasible considering some of the other achievements of the engine? 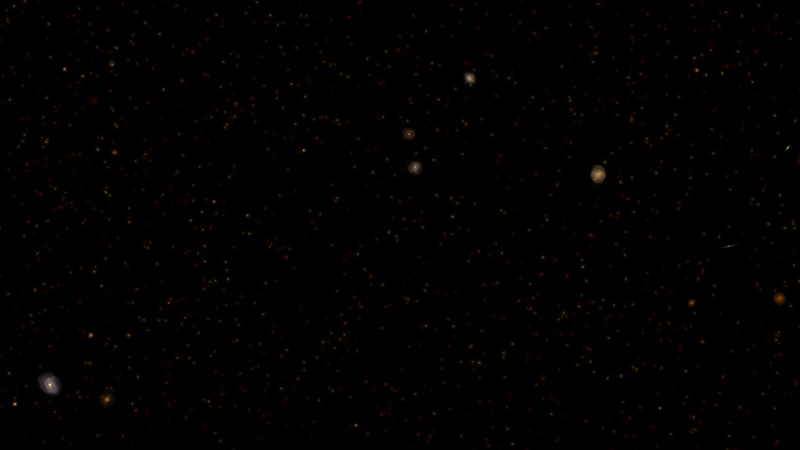 Also, procedural galaxies means that the current sprites only have to be used once: for the actual galaxy they represent. While that means the program's size won't get any smaller, it does help with Space Engine's commitment to realism. I think this is an opportunity for new types of galaxies. What about some ring galaxies, like hoag's object? They can be made very rare and spread out. Surely, considering the size of the universe, they are floating around all over the place. Just make them rarer than any other galaxy type.